This week Mr. Lucky and I are finally getting some paint on the walls of the condo that we’re rehabbing and staging to sell. As a professional housepainter, I know that many people suffer with the color selection question. I know that many people are disappointed with their choice after the walls are all finished. I am here to tell you that I have a failsafe formula! 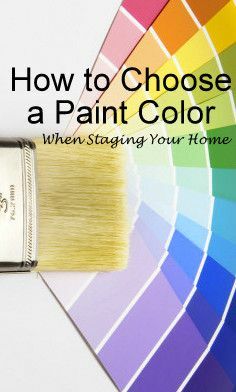 I write about this formula in my $4.99 eBook, DIY Home Staging Tips to Sell Your Home Fast and for Top Dollar, but I will outline it here as well, because paint color selection is an important decision, and a sticky problem for many DIYers. It's especially an important decision if you are planning to sell. 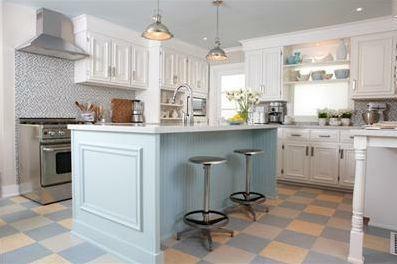 Colors set a mood, and can work for or against the likability of your home. Unless you are undertaking a total renovation, or building a custom home, the rooms you are painting typically have some features that won’t change color. Examples of these fixed features would be a fireplace, carpeting, ceramic or vinyl flooring, bathroom fixtures, major kitchen appliances, countertops and backsplashes, or even woodwork that you do not plan to paint. Your goal is to find a paint color that will harmonize with these fixed features. Never select a paint color in a vacuum, by going with your gut as you look at a display of color chips or a sample brochure. Worse yet, never choose a color from a magazine spread or Pinterest photo. Colors can change dramatically depending on the lighting surrounding them, reflections nearby, the inks used in printed media, and the electronic screen you're reading. For staging purposes, I endorse the one-color-throughout-the-whole-home approach. However, you may not be able to find a single color that works with all your fixed features. In that case, you’ll have to work room by room with your color selection and try to stay in the same family of colors. Family of colors? What is she talking about? There are just three things you have to grasp about paint color. Every color belongs to one of two temperature families -- either a cool family or a warm family. (I know there's a joke there somewhere!) Warm colors lean towards reds, yellows, and browns. Think fire. Cool colors lean towards blues and greens. Think swimming pool. Every color belongs to a named pigment family on the color wheel. These families can be narrowed down to red, yellow and blue -- the primary colors -- plus three additional colors we get by combining these three families -- orange, green, and purple. You will see that paint manufacturers' fan books of color strips that decorators and painters use are arranged by color pigment families. The chip displays that you find in paint stores and paint departments are also arranged by pigment families. 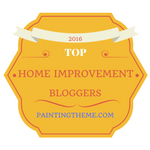 It is these families that give the undertones to a particular paint color, so now you know what the color experts are talking about when they are talking about undertones. Adding black or white pigments darken and lighten these six colors to produce different values on the scale from light to dark of the value family. Your paint color selection can get way more complicated if you are planning to stay in your home instead of staging it for sale, or if you are planning to change flooring or carpeting or countertops, or other fixtures. 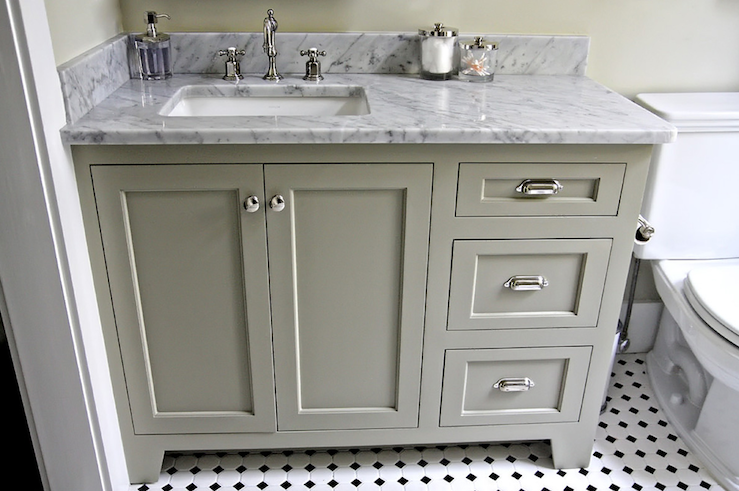 wall and cabinet colors were chosen to create a sophisticated palette. Decorators and painters use fan books of more than 1,000 colors samples. 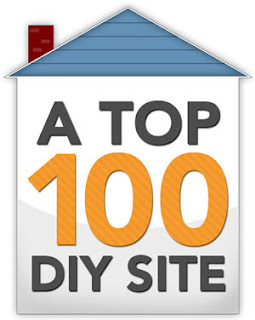 You, the DIY homestager, will have to, in effect, create your own mini-fanbook. At every hardware, paint and home improvement store you can find a display of paint color samples. Many of these strips will not work for you because they are too bright or too dark. You will know which ones they are, the ones that look like a cartoonist’s palette. Eliminate those samples. Then, take home a big handful of strips that you think will match the unchangeable fixtures back at your house. You can always go back for more if this group doesn’t deliver your perfect color. Once you're home you can lay those strips down next to brick or laminate or carpeting or vinyl and find a color in the same family as all these elements. Look for a color that matches or harmonizes with most of the elements that convey with your house when it sells. Match the background color in ceramic, vinyl or hardwood. Match the color of a Corian or Formica counter. Match the predominate color of fireplace stone or of carpeting. Look for colors that are in the same families -- the warm or cool family; the red, yellow,blue, orange, green, or purple family; the light or dark family. When you have narrowed your choices down to a few, pay for samples of these paints. Paint two coats of each color choice on poster-size foamcore boards. Once dry, move these boards around the room and observe how they look next to different pieces of furniture, on different walls, at different times of the day, with different lights turned on. How does each one look next to your fixed features? Now you can make an informed, safe color decision. into the flooring and the tiled backsplash in this kitchen. What we want for staging a home for sale is a seamless look. Most decorators won’t agree with my advice, but we are not decorating. We are staging. And we need to keep your décor clean, unified and simple. If you need to choose more than one color because no one color coordinates with all your fixtures, make all those colors either warm or cool, and all in the same value range on the scale of light to dark, probably the first or second color on the light end of the strip. If you have difficulty nailing down paint color, get help. You could hire a professional color consultant. You could show your favorites to someone like the manager of a paint store. These people are there to help you. Do not ask friends, neighbors or relatives. Many people have different types of color blindness, and see colors inaccurately. The chips that match your fixed features are like the sample board that a decorator will carry, and you can use them when you are making other decisions in the field, like choosing curtain material in the fabric store, or an upholstered piece at an estate sale. Once you use my handy-dandy formula for paint color selection, you'll wonder what all the nail-biting was all about. Go ahead now and order my eBook, DIY Home Staging Tips to Sell Your Home Fast and for Top Dollar, to help you make other home staging decisions.